Python Clear List is one of the List method, which is used to clear or remove total items from a list. 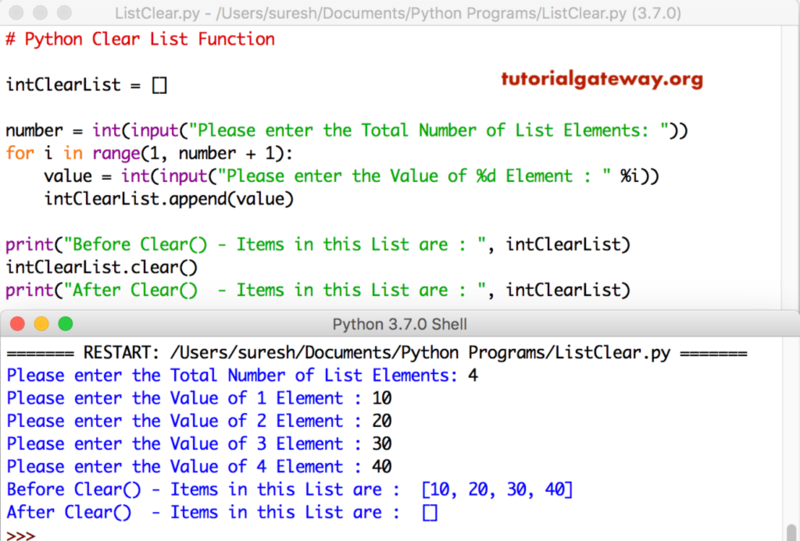 In this article, we will show you, How to use this Python List clear function with practical examples. In this example, we declared string list. Next, we used Clear function on it. NOTE: You can also use this Clear function on Mixed Lists, and Nested Lists.